Light Rifle is an NRA indoor league, which runs along with the Sporterifle League on Friday evenings on the Indoor 50ft. Range, from October through February. Shooters can fire one set of scores and shoot in both leagues, as both use the same target (above). Our program is based on the NRA National Light Rifle Program, which is aimed at making this a "blow the dust off the old .22 in the closet and take it to the range and shoot" atmosphere. Meaning, you don't have to have fancy, expensive equipment or rifles to shoot this league; it's open to any age group, young or old, to those with decades of shooting experience and those with not much at all, iron sights or scoped rifles... The mission of this program is to get to the range, be safe, shoot and have fun! Equipment used is very simple: Bring yourself, your rifle and ammo. You can use a shooting shirt if you wish, but stiff shooting coats, slings, and gloves are not allowed. Again, this is meant to be a simple, non-expensive, fun time at the range. The only requirements for Light Rifle is that your rifle must weigh less than 8.5lbs (including sights/scope) and your trigger weight must not be less then 2.5lbs (for safety). Rifles are not categorized by action or sight type and magazines may be used to load and shoot your targets. The Course of Fire is a total of 30 shots (3 targets) each week in the Standing position. Per NRA Rules, all shooters may rest their forearm in their side while shooting. Fired targets are submitted to the Light Rifle Captain each week for league record keeping. If you would like to shoot ahead in order to make sure you don't miss a league night, that is permitted, just please notify the Captain in advance. Each target fired consists of 10 record shots (2 shots per record bullseye) and unlimited sighters on the NRA A-32 target (above) in a time limit of 15 minutes. At the end of the season, scores are submitted to NRA, which allows our shooters to earn an NRA Light Rifle Classification. This card is useful in determining class awards and also for those who participate in Light Rifle competitions, by allowing competitors to fire within their award class as opposed to shooting as an Unclassified Master and being placed in the Master class. On the first weekend in March, we host an NRA Light Rifle Sectional, which is a Standing-only 60 record shot match. 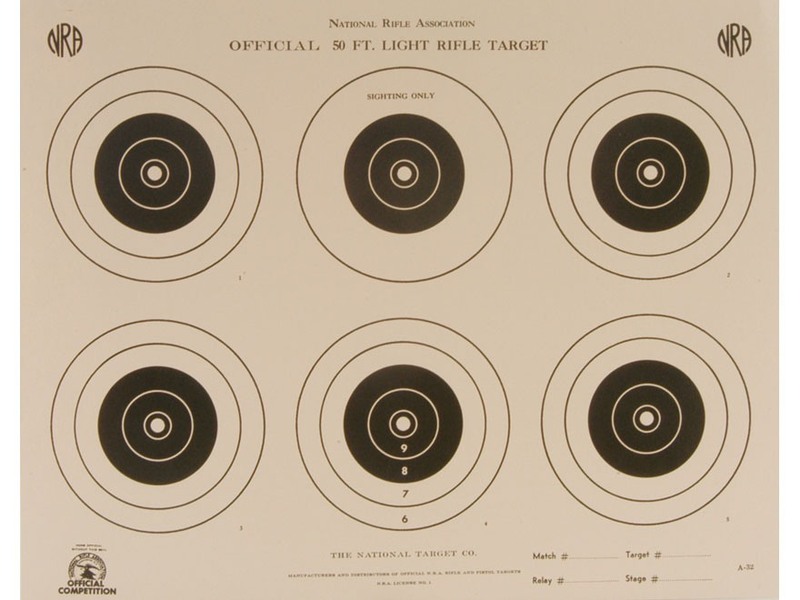 Scores fired at our match are submitted to NRA for inclusion in the National Light Rifle Sectional match results, thus allowing our club to participate in a National Match. At the end of the season, we host a "Friday Night" Banquet along with Sporterifle, to celebrate the accomplishments of our shooters in both the league season as well as during the NRA Light Rifle Sectional match. For more information on NRA Light Rifle Rules, please refer to Section 22 of the NRA Smallbore Rifle Rulebook or click here. 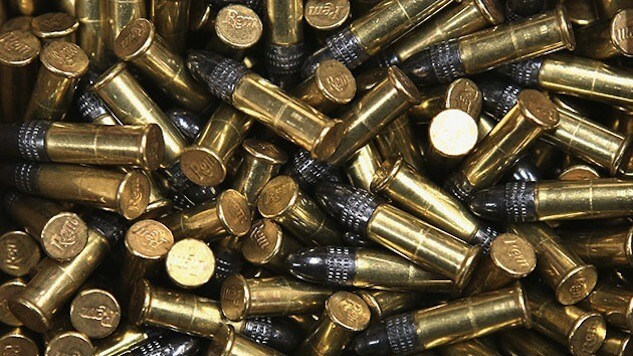 The fee to shoot all 15 matches during the season is only $35.00: $2/week to shoot plus a one-time $5.00 NRA league fee.